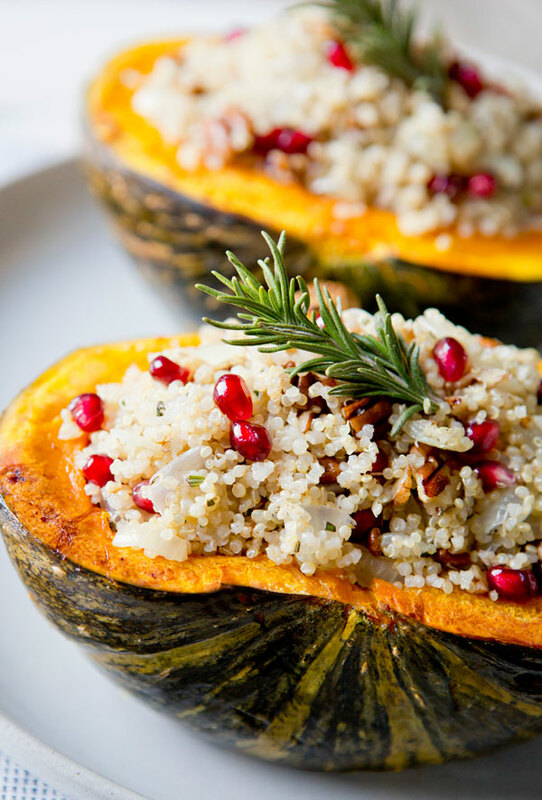 – While squash is cooking, dice onion and combine in a saute pan with 1 tablespoon of olive oil and the crushed garlic. Cook over medium low heat until onion is translucent. Add rosemary and cook one additional minute. 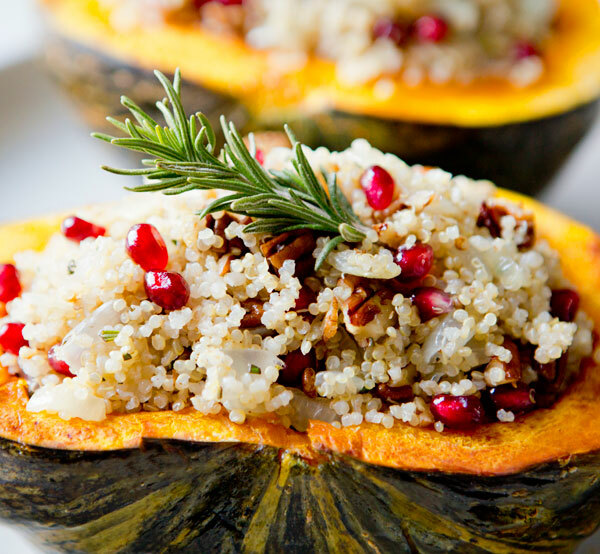 – Season quinoa mixture with additional salt and fresh cracked pepper, to taste. 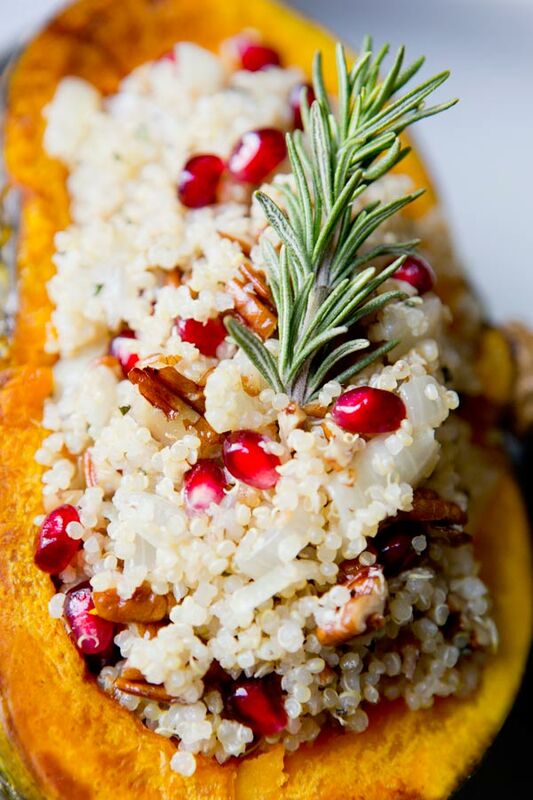 – Stuff squash and serve hot, with rosemary sprigs for garnish. This is absolutely incredible! It looks gorgeous. lovely dish as always. We have been stuffing a lot of winter squash recently. Best way to eat this time of year! I made this for dinner tonight, so tasty! I'm not going to lie I munched on the stuffing for the rest of the night. I do have a question: when do you add the pecans? I just threw them in at the same time as the pomegranate seeds. Thanks for another great recipe! Made this delicious recipe and everybody loved it!! Wonderful holiday dish, thank you! Really nice recipe. And congrats on being featured on Foodie. Nice to find your blog, I'm a new subscriber. if so afterward you will absolutely take fastidious experience. 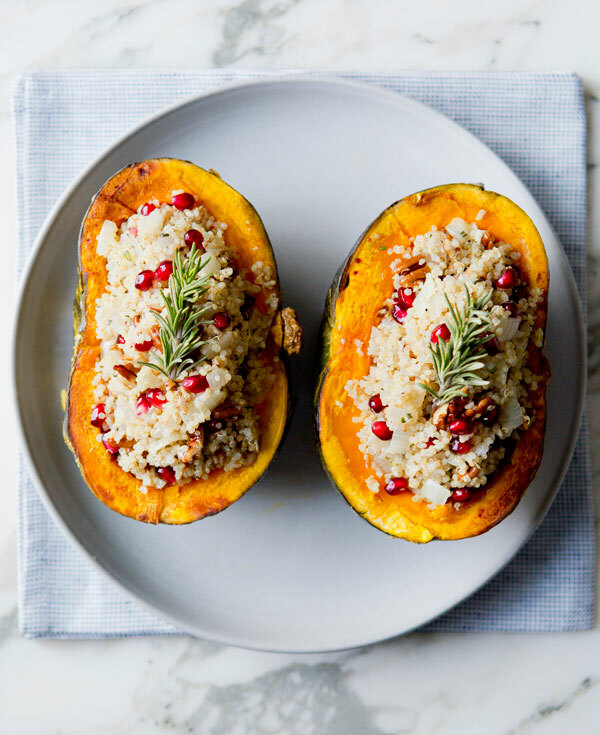 Hi there,I check your blogs named “stuffed kabocha squash – A House in the Hills” on a regular basis.Your humoristic style is awesome, keep up the good work! And you can look our website about love spells.